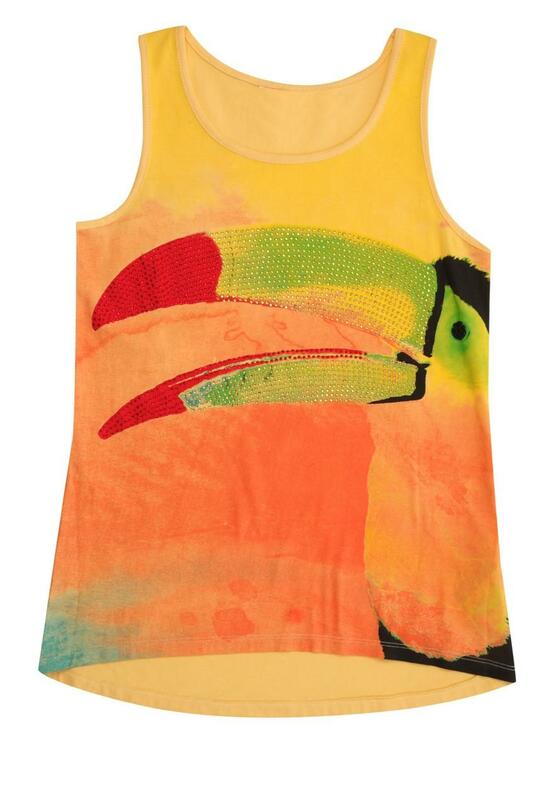 Brighten up her look with this adorable Toucan vest. 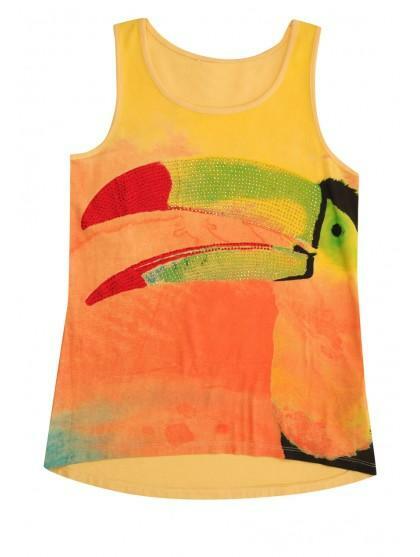 Embellished with small diamante detail, this top can be worn with shorts, jeans or even smart chino's. A sparkle of summer, it's a piece she'll want to wear the whole year through.